West End, Grand Bahama Island - On Thursday, January 31st The Bahamas Weekly News Team was in attendance at Ginn sur Mer for a media tour. Ginn Resorts intention was to provide a tour of the site being developed; show and discuss the progress being made; and allow the media to meet and hear from John Davies, Sr. VP, Ginn Resorts, and Bobby Ginn, Ginn Resorts Founder; and also answer any questions the media might have pertaining to the largest building project ever undertaken in The Bahamas. We present herewith a streaming audio interview with former C.O.O. 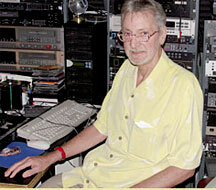 of The Bahamas Film Studios; the late Paul Quigley conducted December 2006 with The Bahamas Weekly Webmaster, Dave Mackey in his memory. This interview provides an interesting behind the scenes glimpse into the Bahamas Film Studios. Devard Loran Darling, wide receiver for the Baltimore Ravens of the NFL, born April 16, 1982 in Nassau, Bahamas paid a visit to Mackeymedia to record an informal interview with thebahamasweekly web master Dave Mackey. He was drafted in the third round (82nd overall) of the 2004 NFL Draft out of the Washington State University. 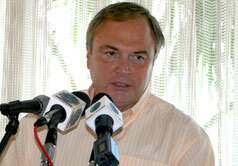 At the time of this interview, Chris Lowe was the Newly elected President of the Grand Bahama Chamber Of Commerce. Mr. Lowe stopped by Mackeymedia for an informal interview with long time friend Dave Mackey. Never short for words, Mr. Lowe first defines the role of The Grand Bahama Chamber Of Commerce then he proceeds to outline his plan for this prestigious organization. Bahamian musician Dave Hoyte, well known for his dynamic Steel Drum performances stops into Mackeymedia to record an interview for the web. Dave Hoyte aka "King David" is the artist that released the popular album "New Wave Steel Pan" produced by Dave Mackey at the late Cay W. Gottlieb's Cicada Sounds Studio. 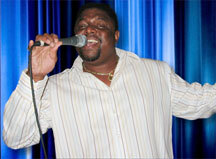 Streaming audio interview with The Late Wendel Swain Armbrister recorded April 26th 2005. Swain died at his home 7PM on Wednesday March 29, 2006 at the age of 63. 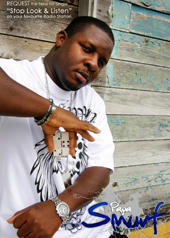 Prolific Bahamian hit song writer Kirk Bodie (KB) interviewed at Mackeymedia takes us into his humorous world of Bahamian Folklore in song. Well loved by Bahamian and Caribbean audiences, KB is more than ready for the world. In this fun filled interview with Dave Mackey, listeners will also learn of KBs early beginnings performing in Boston, Rhode Island, New York, Connecticut and Nassau. KB also discusses his recent travels around the world with The Bahamas Ministry Of Tourism. Streaming audio interview with Janet Albury president of VIP Services. Among the numerous marketing & special events planning services provided by VIP, they now offer wedding planning and training certification for interested entrepreneurial individuals.